Everyone who attended the Jewelry Pop-up on Aug. 30th had a great time! 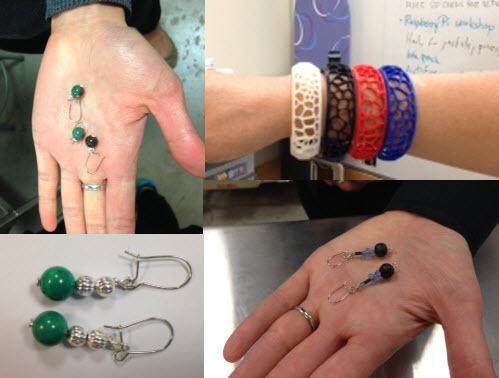 Although none of the attendees had any previous jewelry making experience, they went home with earrings of their own design and colorful 3D printed bracelets. Come to the Makers Lab! You too can create jewelry for yourself and your friends.